PennsylvAsia: The Journey of a North Korean Refugee, October 16 at Pitt. The Journey of a North Korean Refugee, October 16 at Pitt. 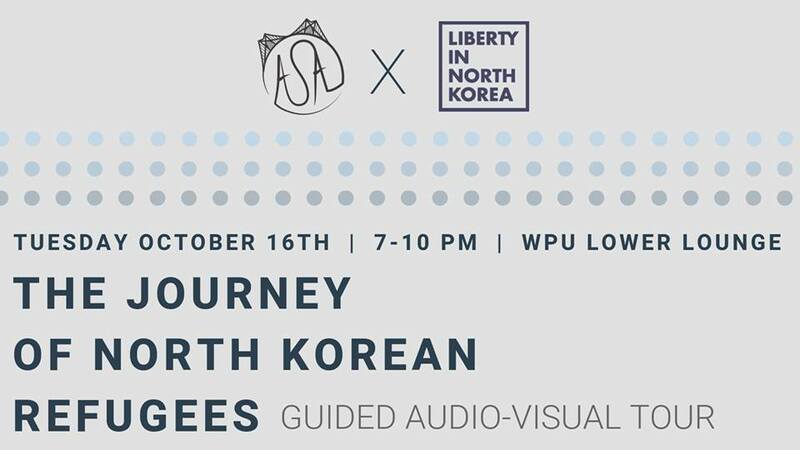 The University of Pittsburgh's Asian Students Alliance and Liberty in North Korea chapter will present "The Journey of a North Korean Refugee" on Tuesday, October 16. University of Pittsburgh: International Week 10/13-10/20 - The Asian Students Alliance and Pitt Liberty in North Korea will be presenting a guided audio-visual tour through the life of a North Korean refugee in three parts: oppression in North Korea, escape, and life after. Every year, thousands of North Koreans risk their lives to escape political and economic oppression. We hope that through this event you can catch a glimpse of the 3000 mile journey that these North Korean refugees undergo. It runs from 7:00 pm to 10:00 pm in the William Pitt Union's Lower Lounge (map).